A number of BotF members congregated at bladdamasta’s house for a Sat’dee arvo barbie. Surely it would cool down – alas it never did. At midnight it was 33.2 degrees and the lowest it got was 27.2 degrees making it Sydney’s highest lowest temperature ever. Clark Rubber’s sales of inflatable pools are through the roof, and bladdamasta contributed to those. Applying moisture to the outside is fine, but it is also important to constantly dampen one’s insides and the BotF boys worked hard on that all evening. It wasn’t really an evening for top end beers. Rapid repeat doses where what the doctor ordered. 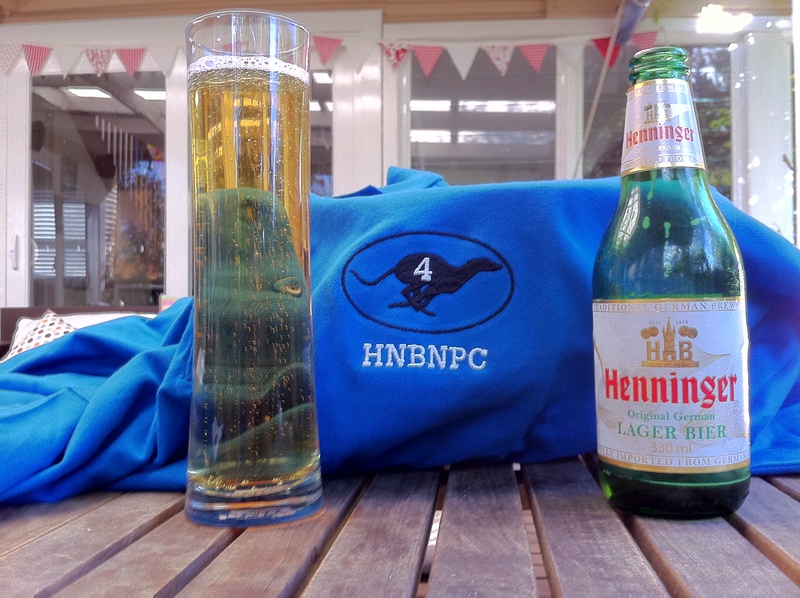 hutto contributed with a dozen of what is arguably Sydney’s cheapest full strength beer – Henninger Lager Bier. A case of this stuff can cost as little as $30, and it’s not complete filth. Henninger’s heritage is a little unclear. It is now part of the Radeberger Group and has probably been relegated to producing the Radeberger Empire’s equivalent of Tasman Bitter or Resches Real – but their website suggests a more illustrious history. Origins as far back as 1655 in Frankfurt, the bottle proclaims a start date of 1869 when Herr Henninger took over the brewery. As I said – you could do worse than a case of this for the price, particularly when I was asked to pay $47 for a case of VB stubbies. 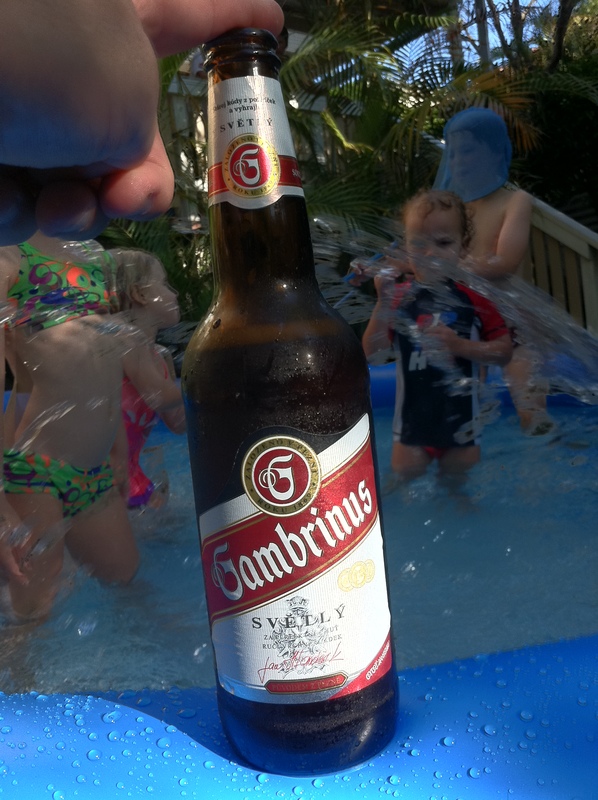 Next up was one of the purchases from the Brunswick bottlo – a 500ml bottle of Gambrinus Svetly. Everything augured well – 500ml, Czech and brewed by the boys that make Pilsner Urquell – but I think this was unfortunately the first bad Czech beer I’ve ever had. Gambrinus Svetly is a pivo vycepni svelte or literally a beer, tap, pale. I found virtually tasteless and the aftertaste was quite watery and short. 3 mouthfuls in and I was offering it to my companions for their verdict, hoping someone would like it. No-one was overwhelmed. Gambrinus sponsors the Czech equivalent of the EPL. The only positive for this beer was an intriguing bottle-top of a bull that has no apparent connection to the beer. Possibly a promotion, but my Czech is as good as this beer.